Here's something unexpected: According to a listing on the Xbox Live Marketplace, Sega's Sonic Team won't be behind the upcoming Sonic the Hedgehog 4. Let's review the surprises (or at least unexpected reveals) regarding Project Needlemouse so far, shall we? Surprise #1: Sega has learned its lesson and at long last will be making another Sonic the Hedgehog game where Sonic is the only character. 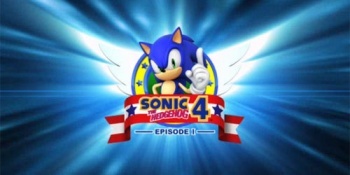 Surprise #2: Project Needlemouse is actually an episodic Sonic the Hedgehog 4. Surprise #3: Sonic the Hedgehog 4 isn't being made by longtime series developer Sonic Team, if this Xbox Marketplace listing is to be believed. Instead, the listing names Osaka-based studio Dimps as the developers of Sonic 4. This may alarm some Sonic fans, while it may reassure others: As the developers of Sonic Rush and Sonic Advance, Dimps clearly has experience with 2D Sonic games, some of which might actually be considered good. I'm not sure what it says about a series (or rather, about a developer) when fans are glad to find out that the traditional development team isn't working on the next game, but here it is regardless.